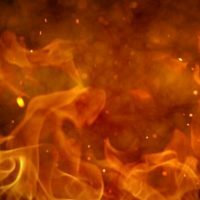 MUSCATINE, Iowa (AP) — Three people died in a fire that heavily damaged a two-story house in the eastern Iowa city of Muscatine, fire officials said. Firefighters dispatched around 6:40 p.m. Monday found flames coming from several doors and windows, the Muscatine Fire Department said. One injured person found outside the home was taken to Trinity Muscatine hospital in critical condition. The person’s name hasn’t been released. Firefighters found three bodies inside the home. Fire Chief Jerry Ewers declined to say Tuesday whether the three lived there. Their names were being withheld until relatives could be notified about the deaths. Autopsies were ordered. Ewers said one of his firefighters suffered a minor burn. A pet cat was rescued. Two other departments sent units and off-duty Muscatine firefighters also were called in to help, he said. There was heavy damage throughout the first and second floors, and smoke and water damage throughout the basement. The house will likely be considered a total loss, the fire department said. Investigators have determined where the fire started but not what caused it. The house was equipped with smoke alarms, but it’s not certain whether they were working when the fire began, the department said.